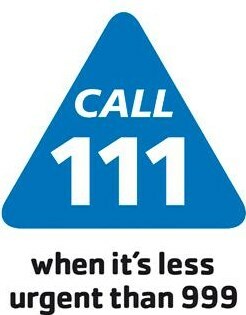 To access URGENT medical help please dial 111 for the out-of-hours service. Sevenoaks Minor Injuries Unit is open from 8am - 8pm 365 days a year. An Emergency Nurse Practitioner who is qualified to diagnose and treat these conditions. Our out of hour's emergency dental service is know as DentaLine and is for dental emergencies and urgent symptoms during evenings, weekends or bank holidays. To contact the service you should call on 01634 890300 for an assessment, advice and to arrange an appointment for that evening if necessary. Patients should contact their own dentist for dental emergencies during practice opening hours. If you meet our acceptance criteria an appointment may be offered, but if daytime care is felt to be more appropriate, you will be advised. Treatment provided by DentaLine prevents deterioration in a patient's oral health or will give temporary control of pain. After treatment, patients are still required to return to their own dentist, or join the list of a dental practice, for a new course of treatment to permanently resolve their dental need. NHS West Kent - 0800 0 850 850 - covering Maidstone, Snodland, Dartford, Gravesham, Swanley, Sevenoaks, Tunbridge Wells, Weald of Kent. NHS Eastern and Coastal Kent - 0808 238 9797 - covering Swale, Canterbury, East Kent coastal areas, Ashford and Shepway.